All samples are generic and contain sample wording. 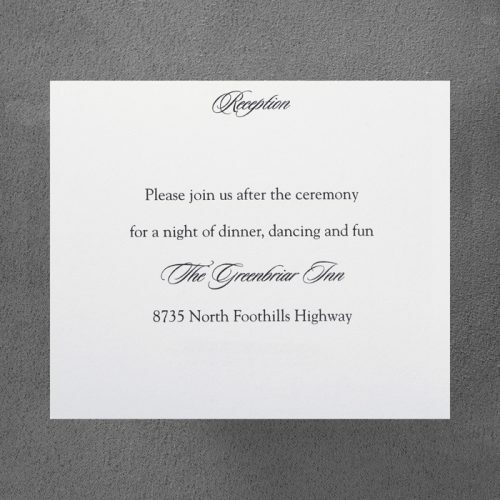 The wording printed on our sample invitations cannot be personalised with your names or invitation wording due to the printing process we use. 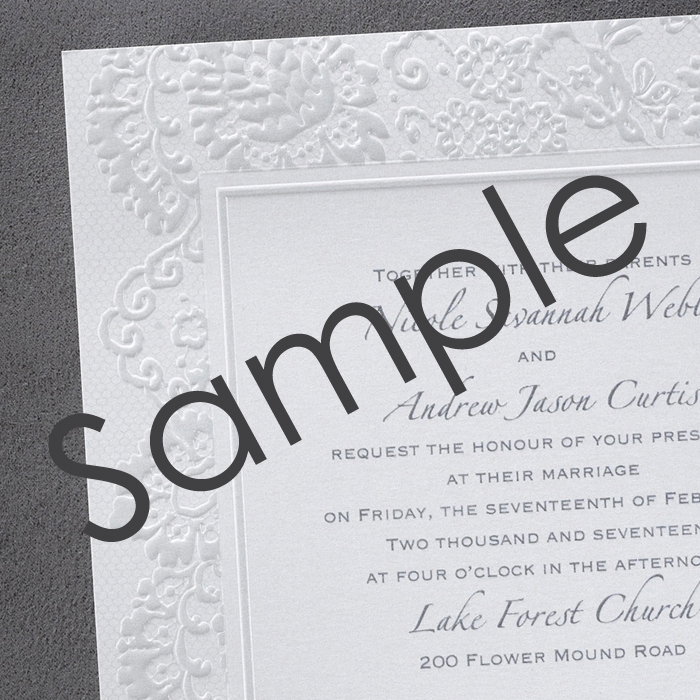 All samples are shipped FREE and are dispatched from our studio within 2 business days of receiving your order. Sample invitations are sent via Australia Post regular mail, please allow up to 10 business days for delivery. 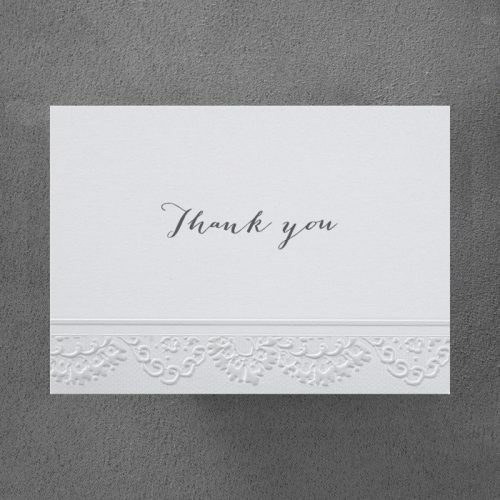 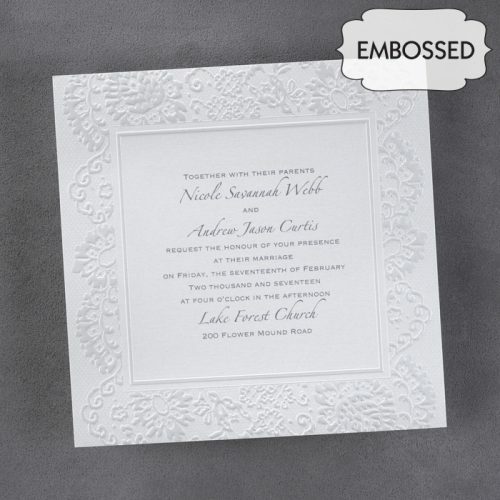 A vintage lace border design has been embossed in a white metallic shimmer card. 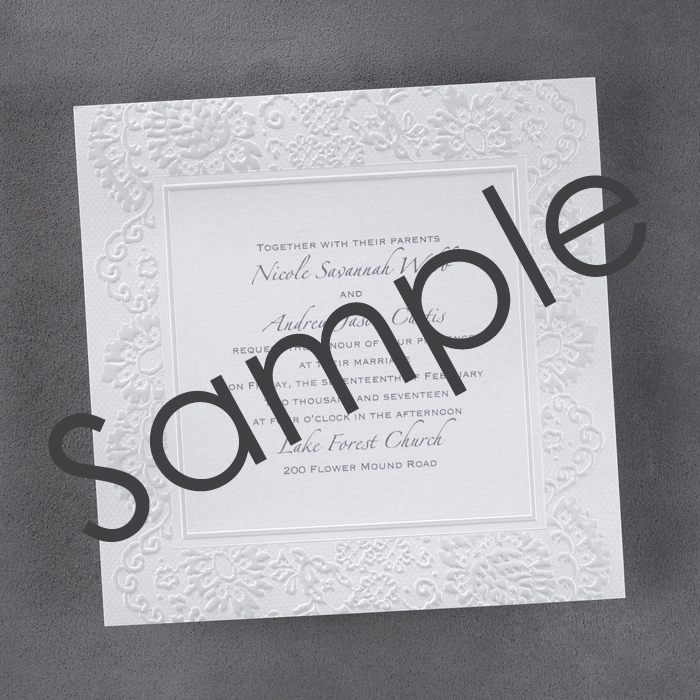 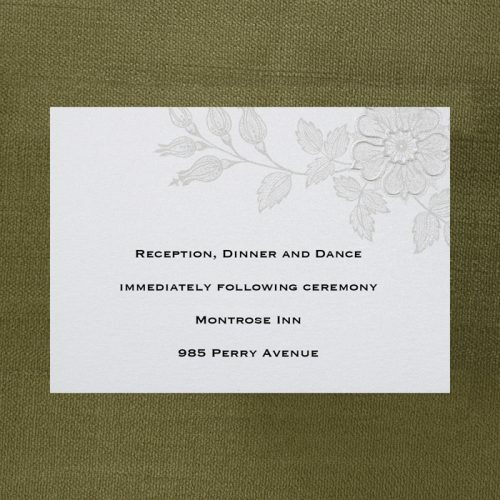 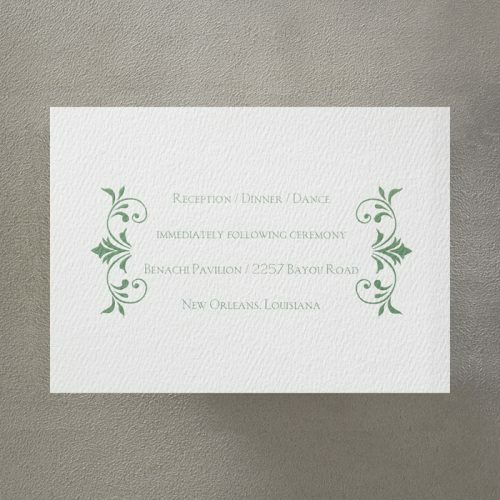 A separate embossed square border inside the lace design surrounds your invitation wording.